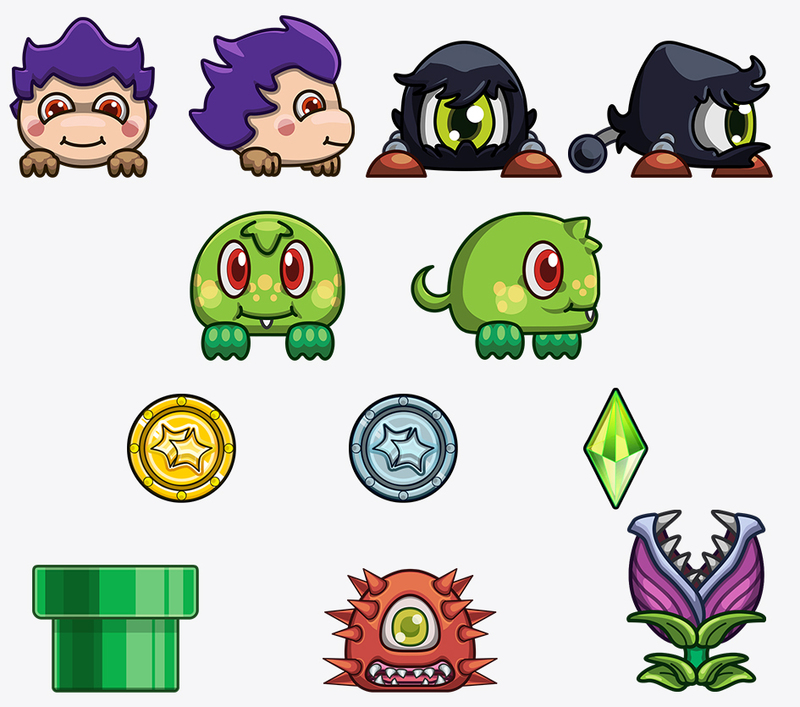 Character sprites for any platformer top rated game. 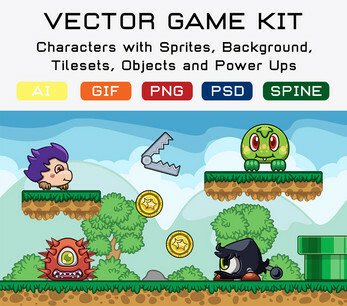 Everything in this pack is vector based. It also contains SPINE so you can create your own animation. Mesmerise your gamers with these cute characters. Both Frontal and Side view have been exported for animation move such as Idle, Hit, Jump and Walk. Create your game now! 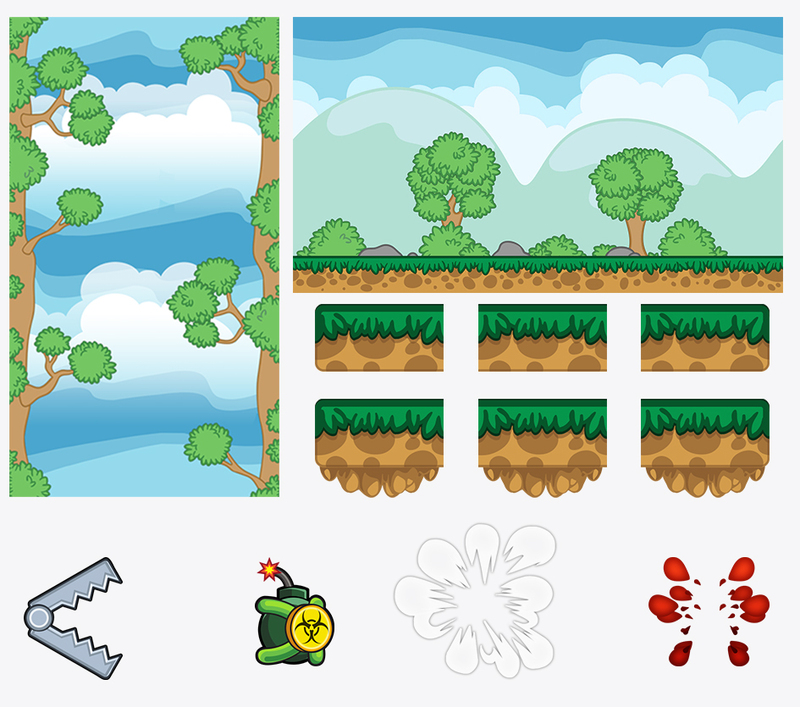 We also provide a Horizontal and Vertical version of the game background to fit the Front and Side view of the character sprites included in this game pack. 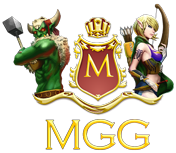 Specially designed to match same type of graphics as the characters sprites. The tileset can be easily exported into 6, since we have added a special PSD layer called “bottom” which, if deactivated will provide you with a different version of the tile, so you can actually have 6 tiles in one set. You can easily create a seamless walk path for your character sprites by extending the middle part of the tileset. 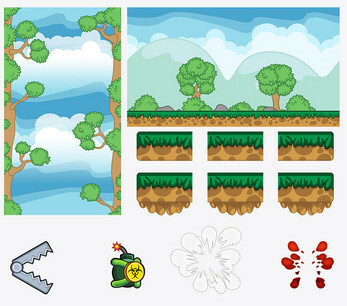 These objects will definitely make it more fun to create and develop your levels of game with character sprites. 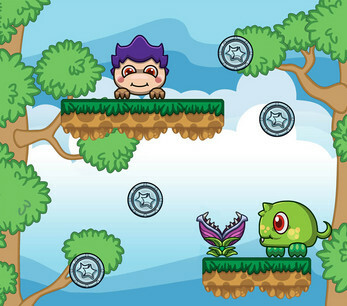 We want you to have an exciting and fun game – so we include a game obstacle for your character sprites. This plant includes a SPINE project file for you to have your own animation. We have created the obvious ones, such as coins and gems to help your character sprites earn and buy stuff to your game. We want our players to enjoy the game of course! Let’s make it MORE fun with this visual effects and projectiles to level up the graphics of your game with character sprites. It has character blood and hit.